I don't know what's more impressive: that I was able to easily access this blog again despite having no recollection of how blogger worked or what my password might have been, or that I am spending time updating a blog I am pretty sure no one has bothered to glance at since early 2013. I suppose it goes without saying that things have happened since then? Biggest of course was graduating from Sheridan, moving to a new city, and starting a job as a full-time animator. It's hard to believe two years have passed, but I have loved every moment of my first foray into the wild world of producing kid's cartoon shows. 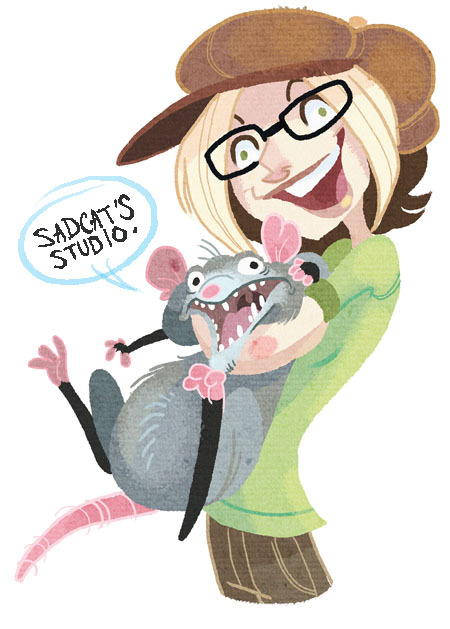 I could go ahead and unload a monstrous amount of artwork, but instead I will suggest checking out my current portfolio site www.sarah-davis.com (newer, shinier portfolio site is currently in development), or stopping by my Tumblr. I will, however, post my updated demo reel! And that's it for me for now. I'm sure I will make some effort to update here again!